One size = Adult; finished circumference is approx. 20 in. 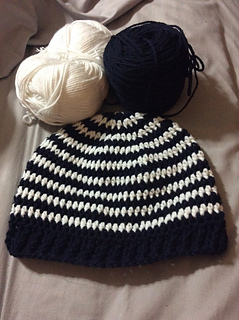 ; crown to brim is approx. 8 in. 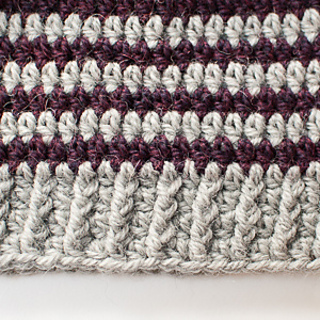 When I teach my Beyond Basics crochet classes I like to incorporate fun projects to help students learn the techniques I cover. 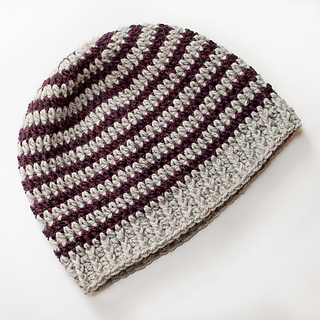 This basic striped crochet hat pattern helps give my students a better understanding of gauge, working in the round, clean color changes, increasing, and creating a ribbed effect with post stitches. They get to learn all this while also creating something they can actually wear or give as a gift!